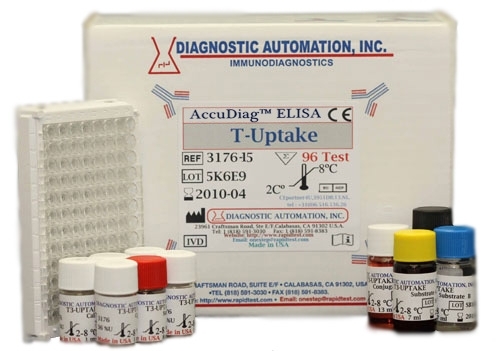 T4 ELISA kit - Thyroxine Elisa kit | FDA-CE | 818 591 3030-USA. 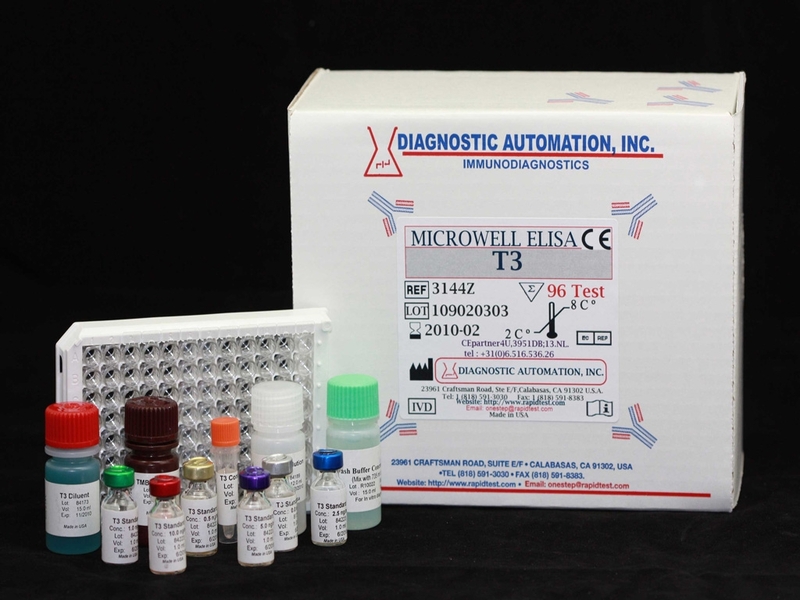 The T4 ELISA is intended for the quantitative determination of the Thyroxine (T4) concentration in human serum. L-Thyroxine (T4) is a hormone that is synthesized and stored in the thyroid gland. Proteolytic cleavage of follicular thyroglobulin releases T4 into the bloodstream. Greater than 99% of T4 is reversibly bound to three plasma proteins in blood - thyroxine binding globulin (TBG) binds 70%, thyroxine binding pre-albumin (TBPA) binds 20%, and albumin binds 10%. Approximately 0.03% of T4 is in the free, unbound state in blood at any one time. Diseases affecting thyroid function may present a wide array of confusing symptoms. 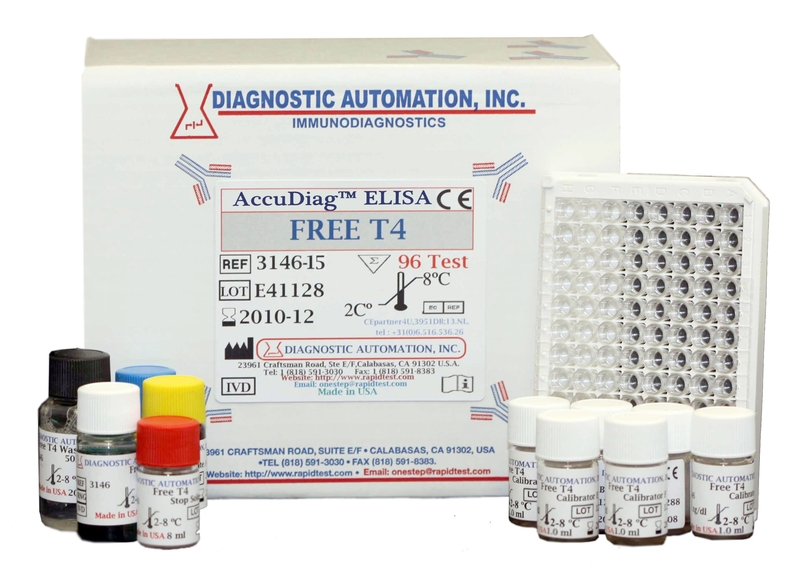 Measurement of total T4 by immunoassay is the most reliable and convenient screening test available to determine the presence of thyroid disorders in patients. Increased levels of T4 have been found in hyperthyroidism due to Grave's disease and Plummer's disease and in acute and subacute thyroiditis. Low levels of T4 have been associated with congenital hypothyroidism, myxedema, chronic thryoiditis (Hashimotoâ€™s disease), and with some genetic abnormalities. 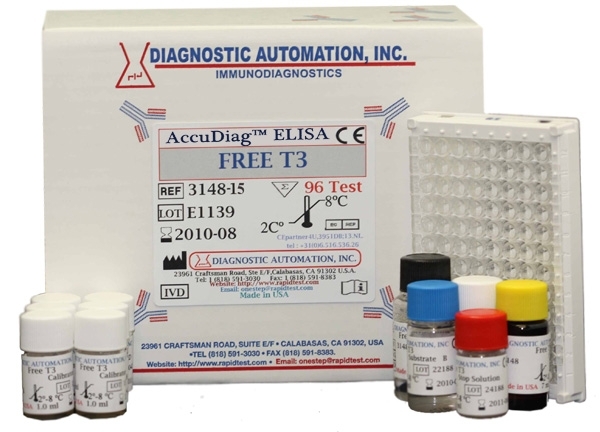 This T4 EIA test kit is based on the principle of a solid phase enzyme-linked immunoassay. 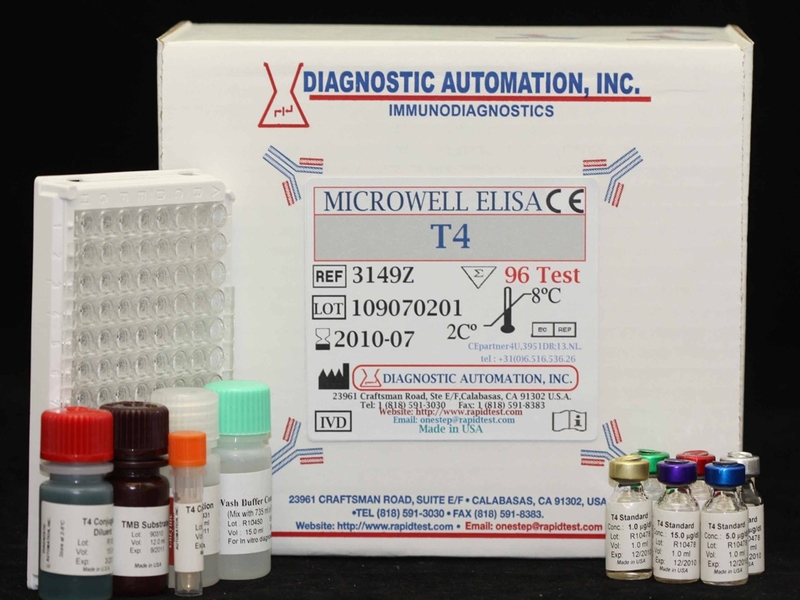 In T4 EIA, a measured amount of patient serum, and a constant amount of T4 conjugated with horseradish peroxidase are added to the microtiter wells, containing certain amount of anti-T4 antibody. 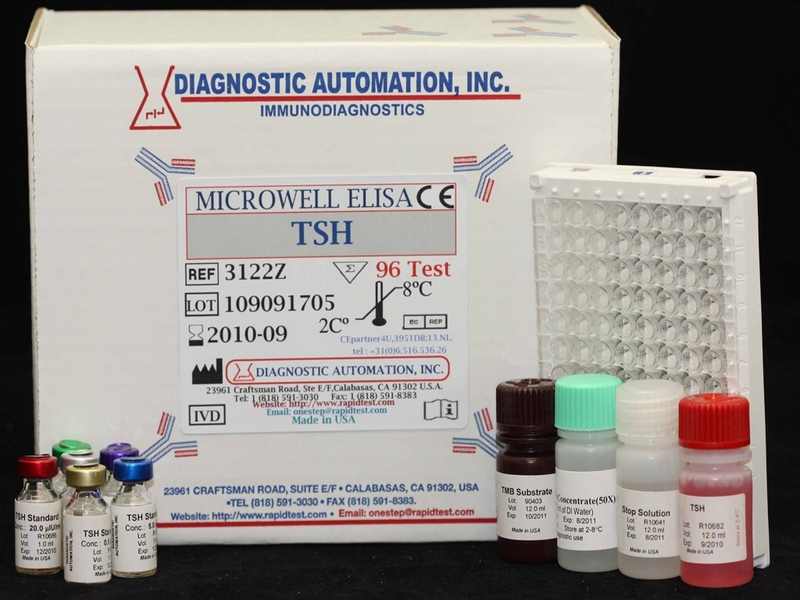 During incubation, T4 and conjugated T4 compete for the limited binding sites on the anti-T4 antibody. For additional details please refer to the instructions for use.